We pride ourselves on growing and offering a far wider range of plants than is available in the average nursery or garden centre. We also stock a number of rare or unusual plants. 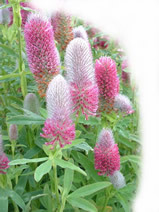 We can supply many plants by mail order though larger plants can be expensive to send because of the weight or size. Trees are often too large to send by normal carriers, we can send some by pallet carrier but this can be expensive, we can deliver locally or reserve for you to collect. Please ask as we can always quote. If you require a quote for mail order or delivery please let us know the plants you require, the quantity and most importantly the full address and postcode the plants are to be sent to. We are often asked to send plants abroad and we are happy to quote for this service. Some countries have import restrictions so please be aware that inspections may be required and some plants will not be permitted to by imported. We have a wide selection of trees from decorative trees such as Acers to old favourites like oak. We also stock fruit trees which are mainly trained as bush or half standards, however some are available as cordons, espaliers, fans and stepovers. These are available throughout the year in sizes that will fit most types of car (delivery can be arranged). Bare root plants can be supplied from November to February. We do take forward orders for more unusual varieties or those we do not stock but we need to know before September to be able to source them for November/December supply. 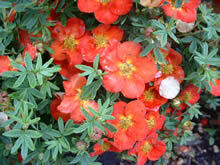 We stock several hundred varieties of shrubs. There are sections for evergreen shrubs (for year-round interest and structure), deciduous shrubs (grown for their flowers and foliage) and sun-loving shrubs (deciduous and evergreen plants for full sun and well drained soils) For those with acid soil, we have rhododendrons and azaleas but don’t forget they make ideal plants for pots and containers. We have an enormous choice of perennials, including currently fashionable Heuchera and grasses. We stock cottage garden favourites, such as hardy Geranium, Hemerocallis and Penstemons, in many more forms than are normally available. 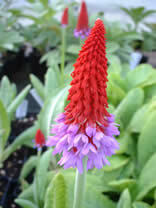 We also have an interesting selection of herbs and alpines from mid March, weather permitting. 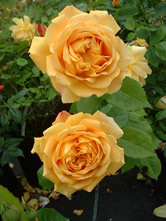 We stock hundreds of roses, including many varieties of old-fashioned shrub and species roses (such as gallica, centifolia, moss and tea roses) as well as English (Austin) roses, Hybrid Teas, floribundas, climbing, rambling and standard roses. These are available in pots throughout the year, but can also be supplied as bare root plants from November to January. We can send most (except standards) by mail order during the dormant period. We have an excellent selection of climbers with many varieties of clematis including many of the new Raymond Evison varieties, as well as more unusual climbers such as Trachleospermum, Stauntonia, Akebia and a number of Wisteria varieties. In our greenhouse, we sell an interesting selection of houseplants, citrus plants, climbers for the conservatory and bulbs in season. In early summer, we offer more interesting bedding plants, such as Lantana, Bidens and Felicia in small pots suitable for hanging baskets and tubs as well as favourites like Pelargonium, Petunia, Nicotiana, Lobelia and masses of Impatiens. We also stock a selection of conifers (ranging from dwarf varieties to giants such Cedrus and Taxodium). Hedging plants and soft fruit are also available bare root in the autumn and potted from the end of February.